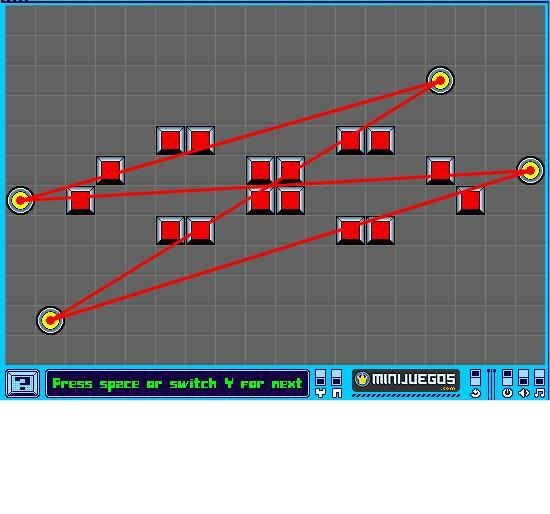 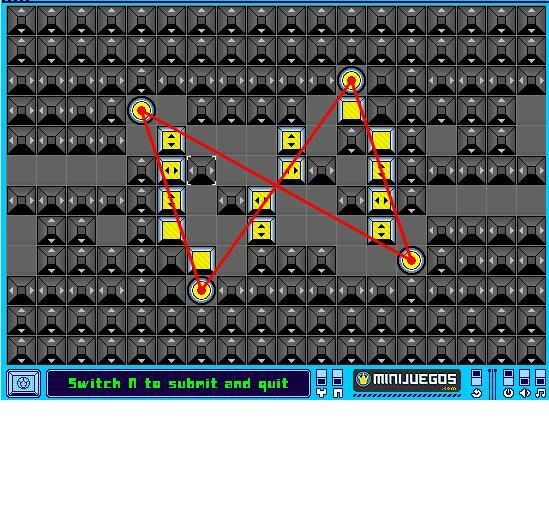 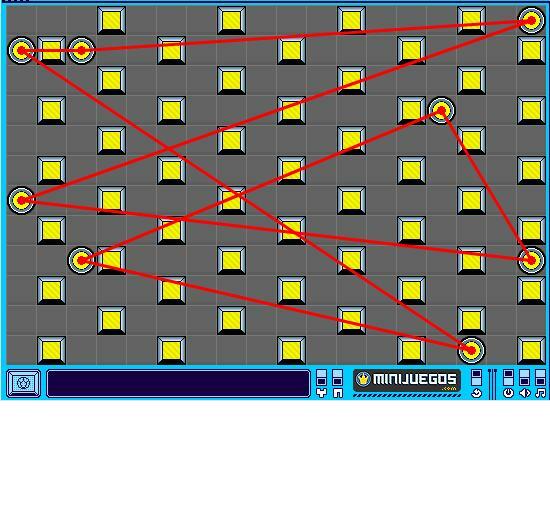 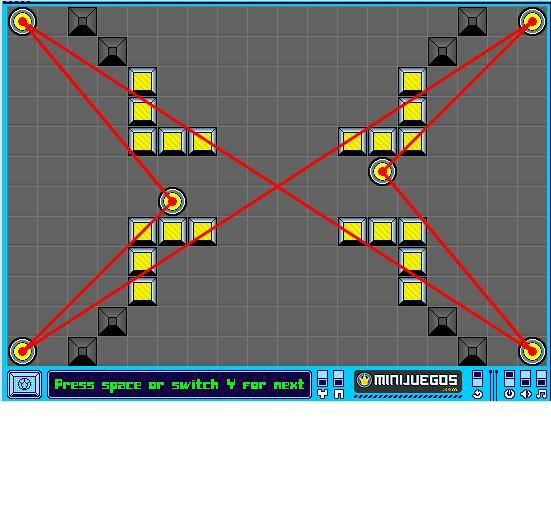 Laserworx is an enlightening puzzler by Liszkay (Treasure in the Dark) where your goal is to light up all the lasercells on a grid. 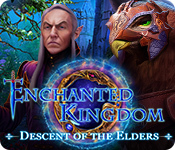 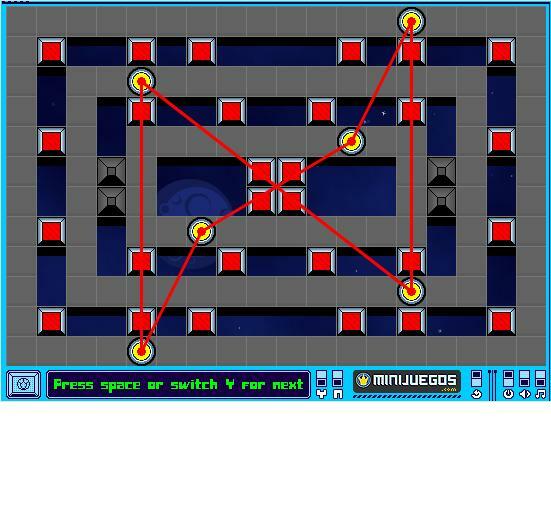 One hundred beaming levels await you, hoping to trip you up with a plethora of tricks and twists. 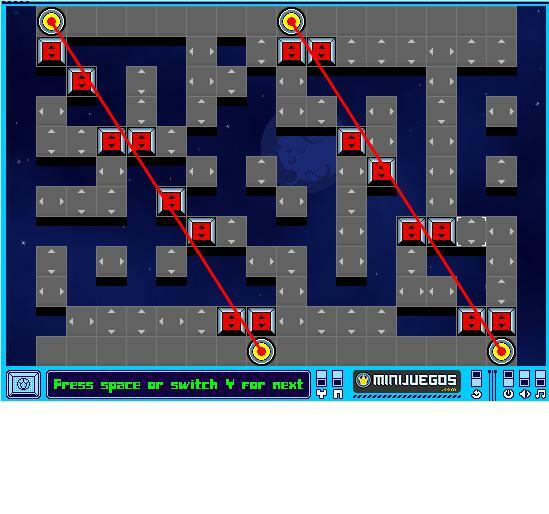 Scattered about the floor are several laserspots, which can often be moved around by dragging them with the mouse. 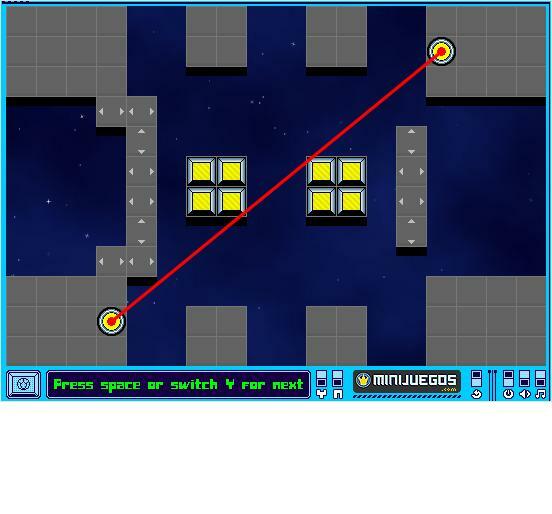 Between certain pairs of laserspots, you'll find, naturally, laserbeams. 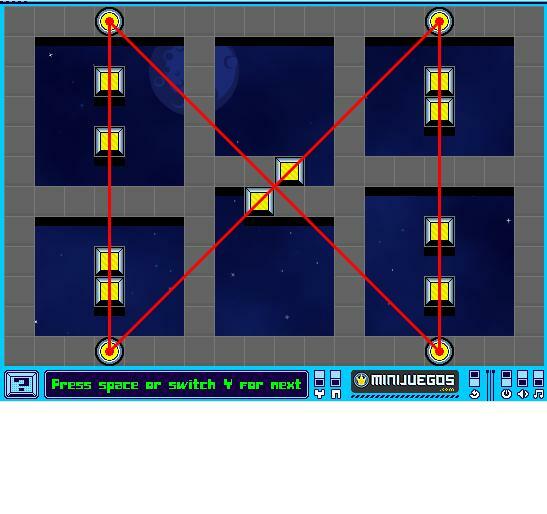 These laserbeams always form a straight line connection between laserspots, even when placed on the grid in different rows or columns. 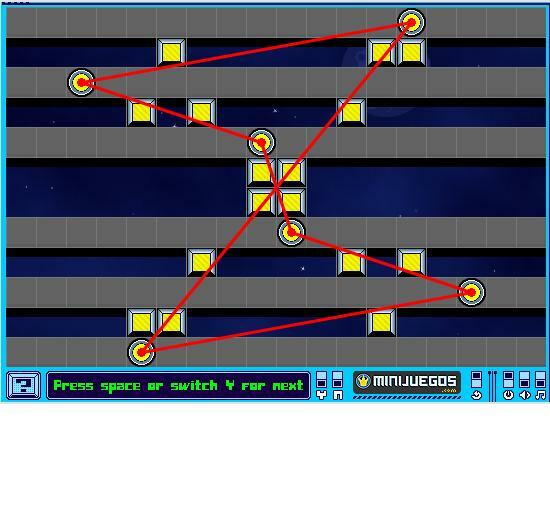 (In other words, diagonals are very much allowed.) 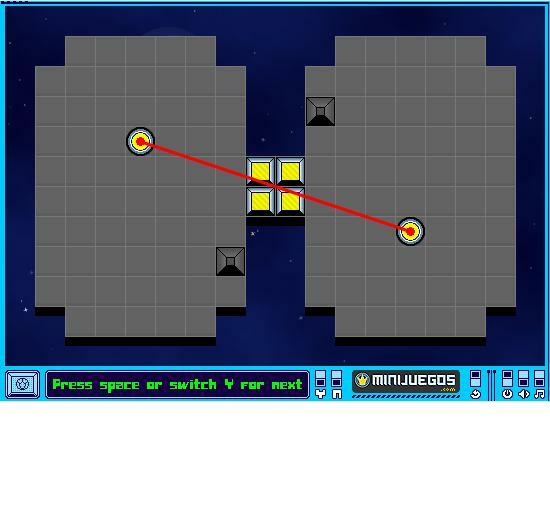 When a laserbeam passes through a lasercell, even by the tiniest corner, the lasercell will switch on (or off). 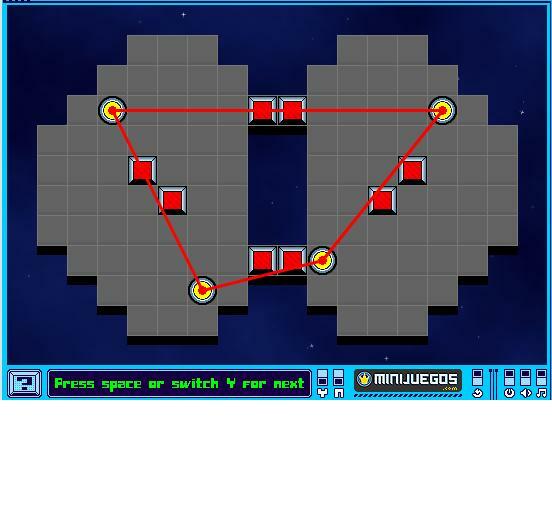 Light up all the lasercells, and you'll be on your way to the next level. 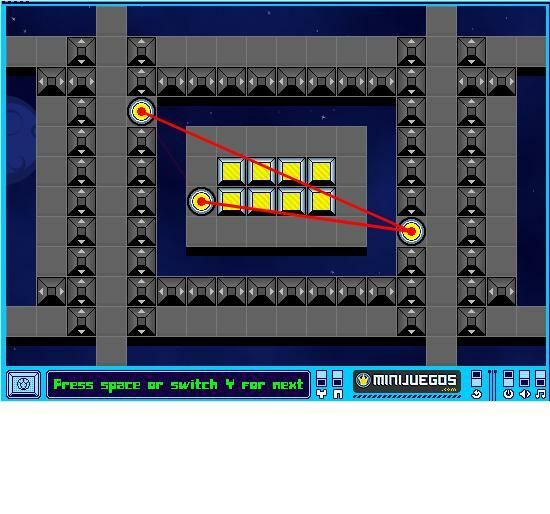 But (literally) blocking your way are the dreaded laserwalls, which— Sorry, they're just plain walls, I guess not everything has the word "laser" tacked onto it. 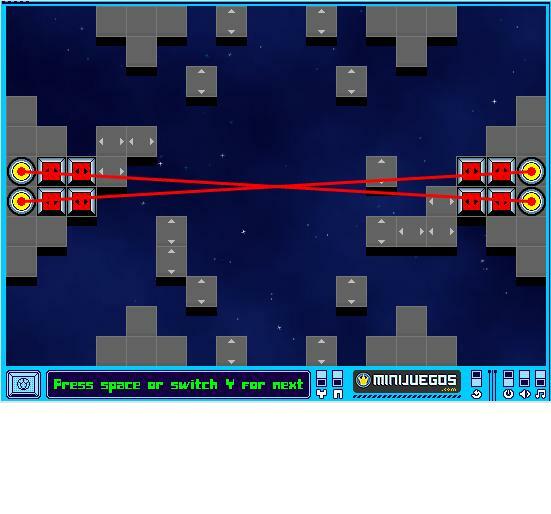 Blocking your way are walls, which render any laserbeam that passes through them useless. 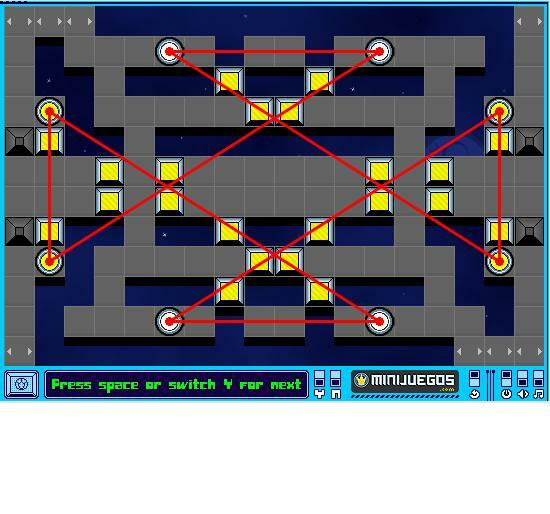 Also, you have to deal with your own laserspots, which can only move across unoccupied floor tiles, and that's even assuming you're allowed to move them. 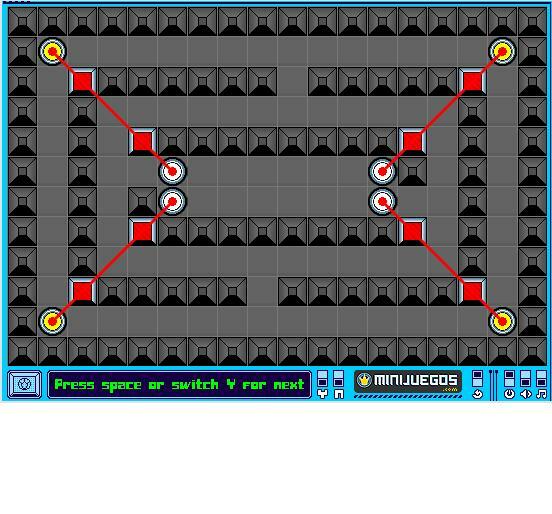 You'll eventually have to juggle moving around almost every element of the game, including the lasercells, the walls, and even the floor tiles. 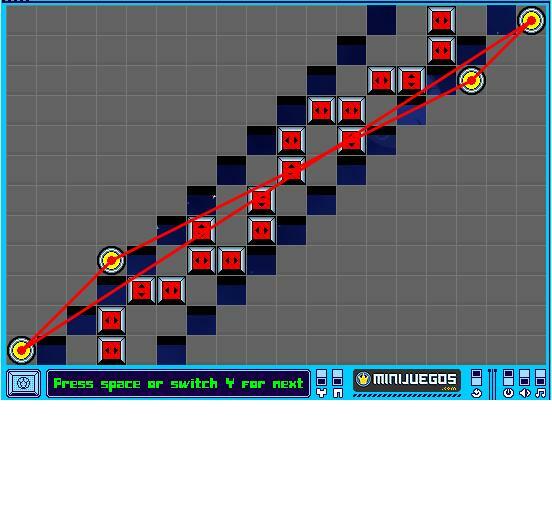 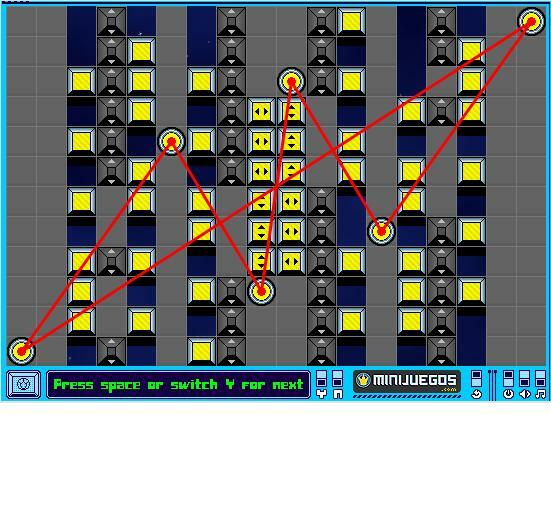 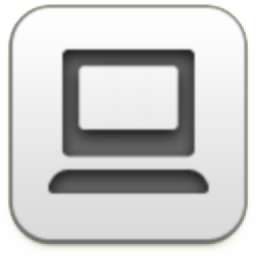 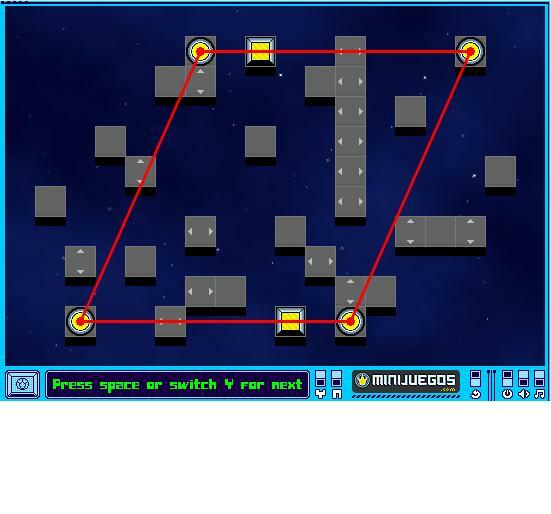 Each level has an unlimited amount of time to work with. 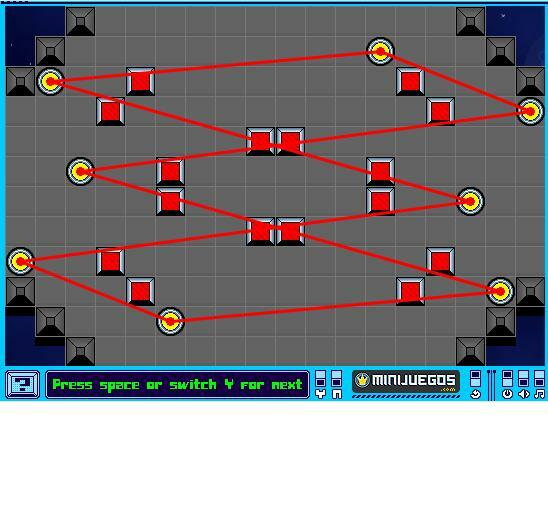 Instead, your score for a level is determined by how few "moves" you make in order to get to a solution. 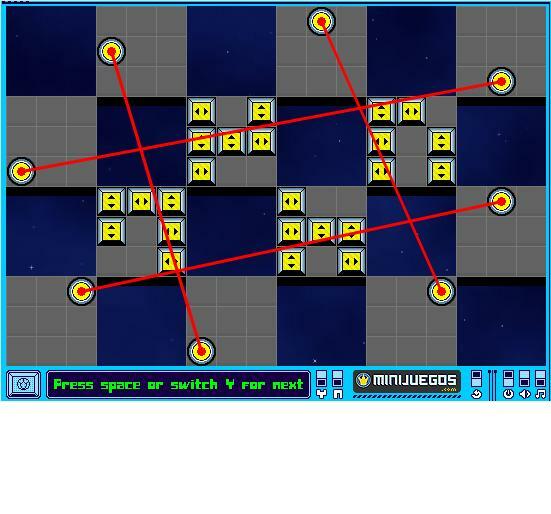 Each time you drag any object one square, a "move" is deducted. 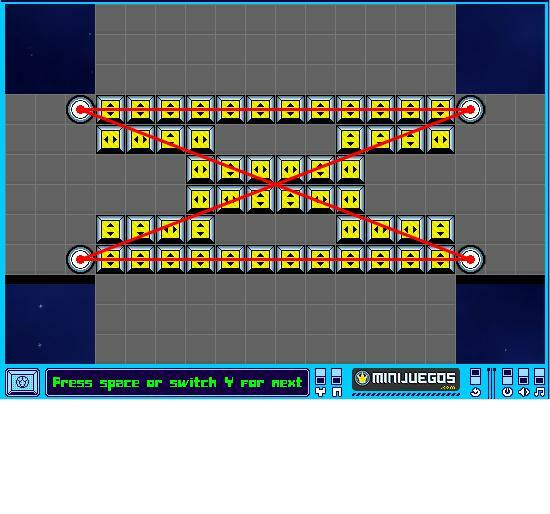 There is no way to undo moves (except by restarting a level), so be sure to plan ahead for a high score. 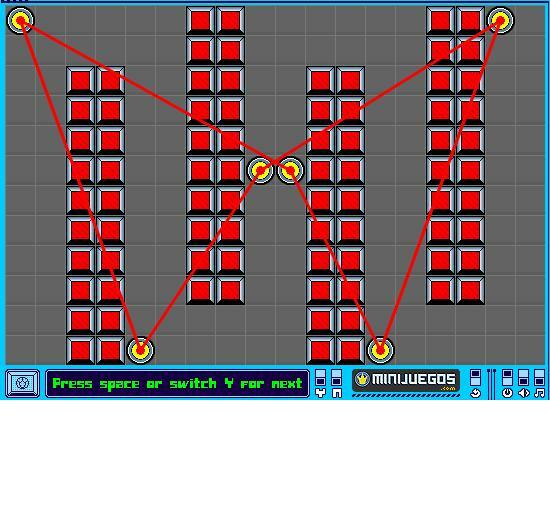 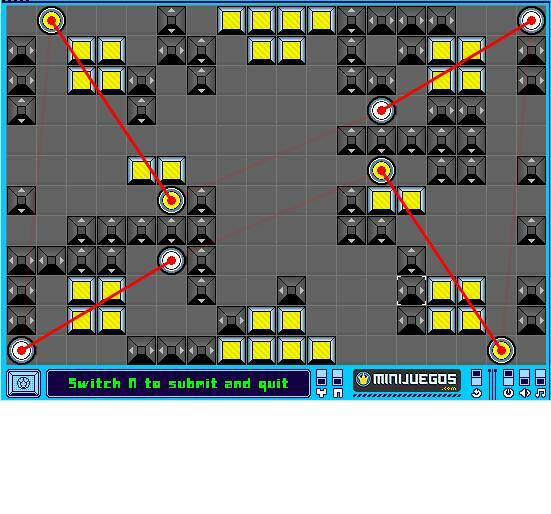 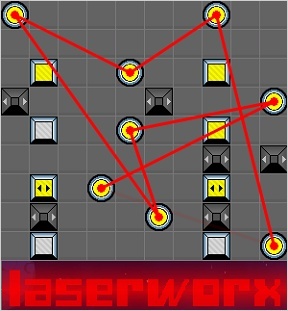 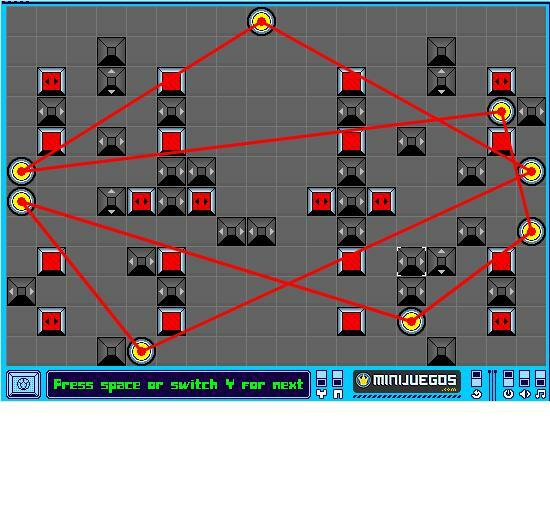 Analysis: One of the many positive notes about Laserworx is that across its 100 levels, the idea of moving things around to connect objects in lines doesn't tire quickly. 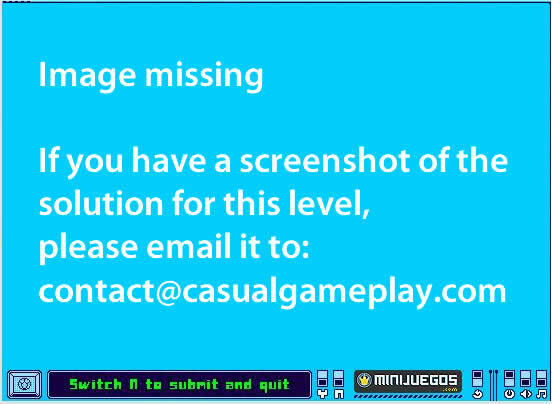 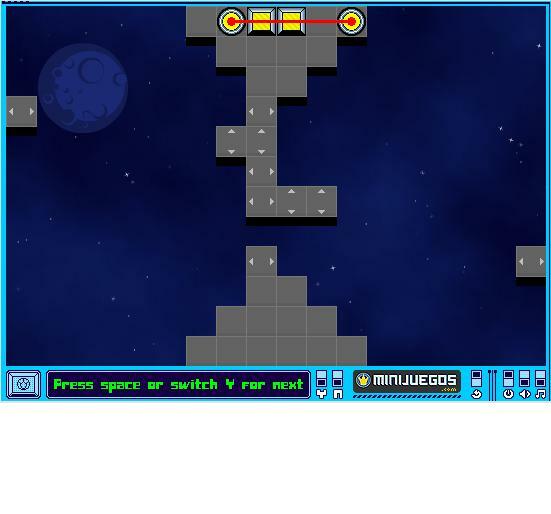 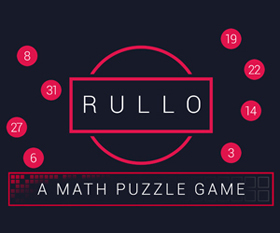 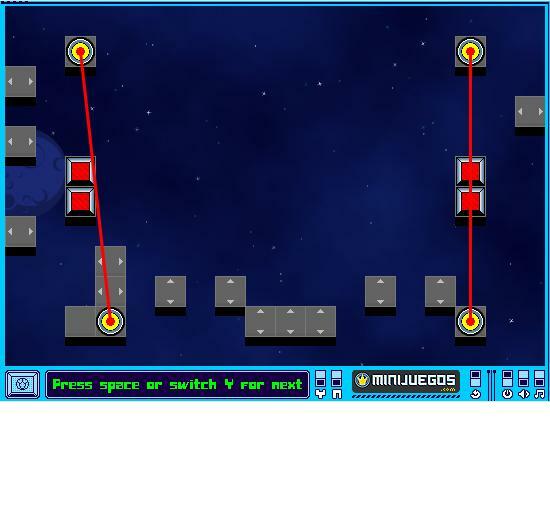 In fact, the levels are set up to give you a variety of challenges in order. 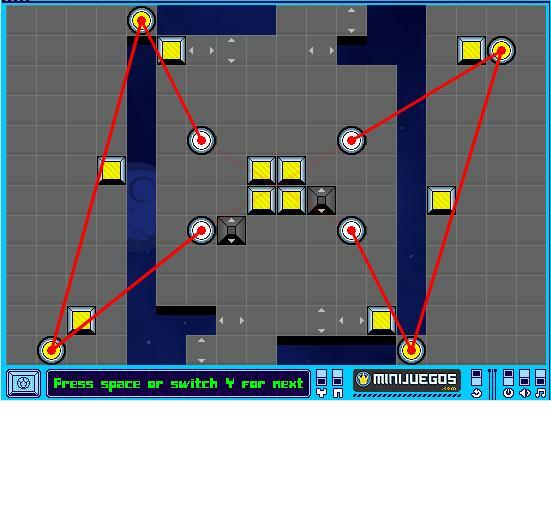 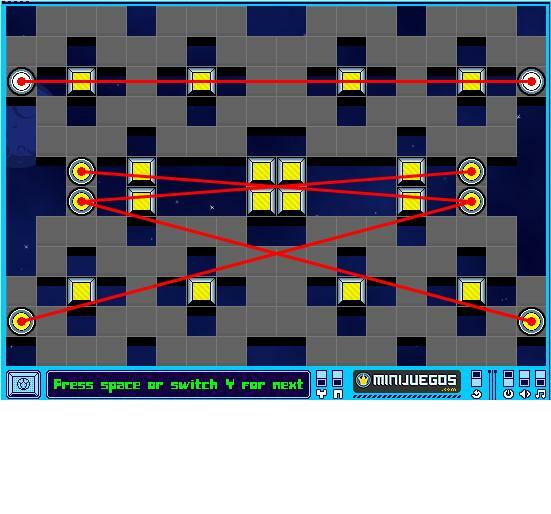 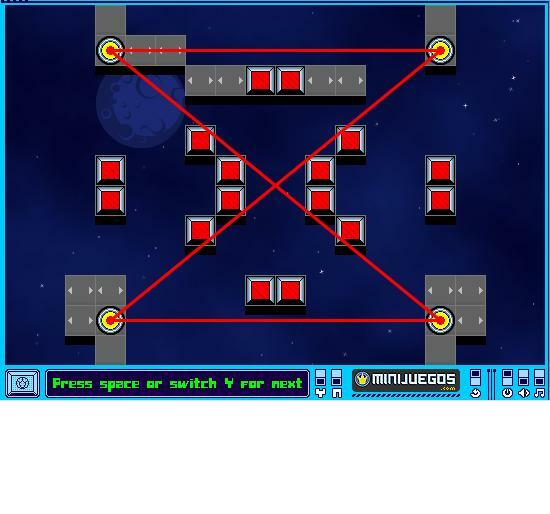 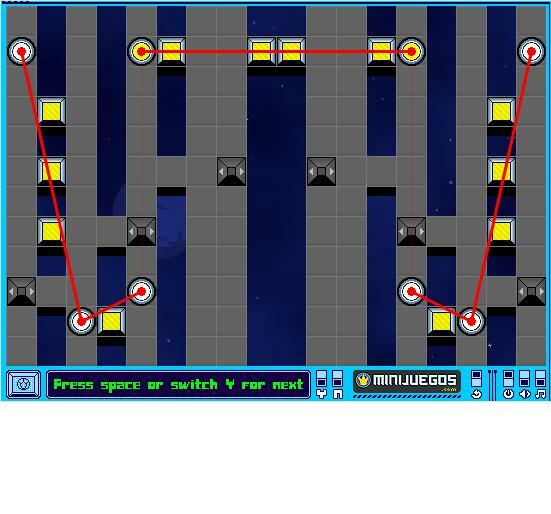 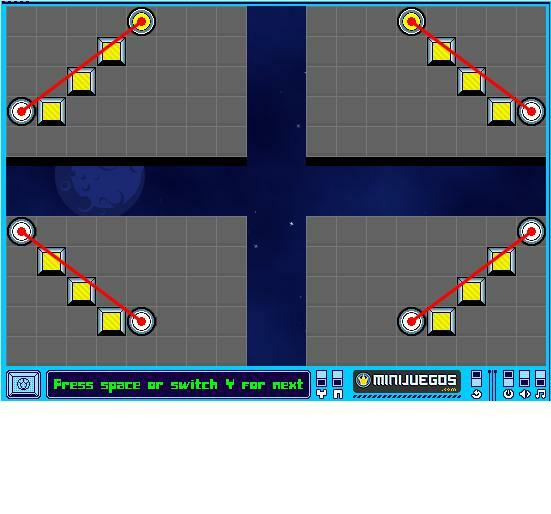 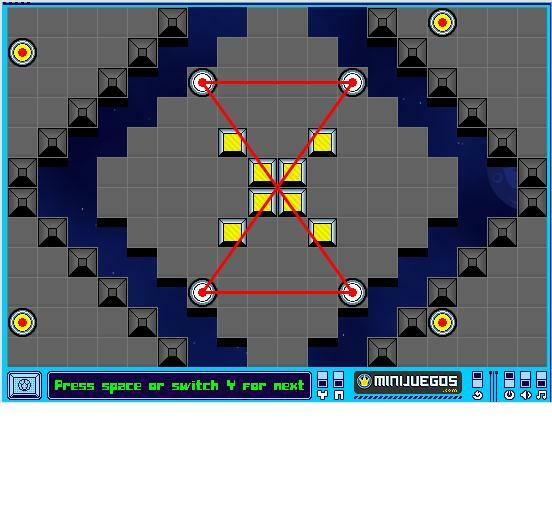 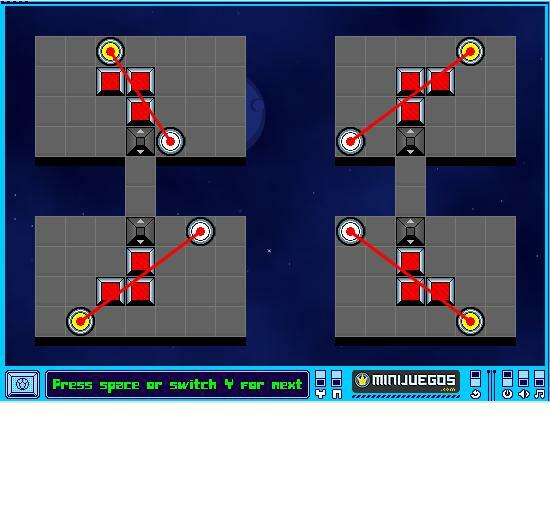 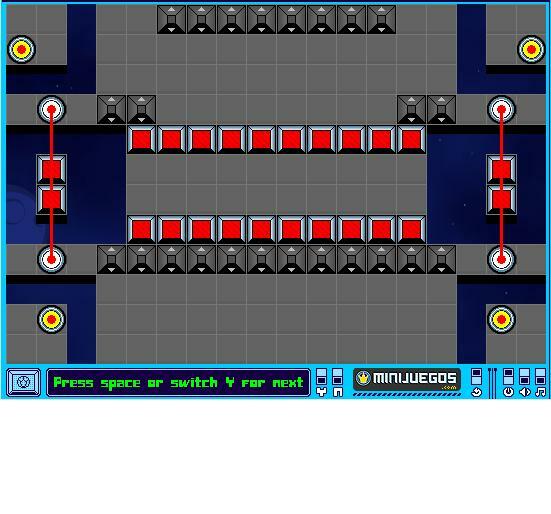 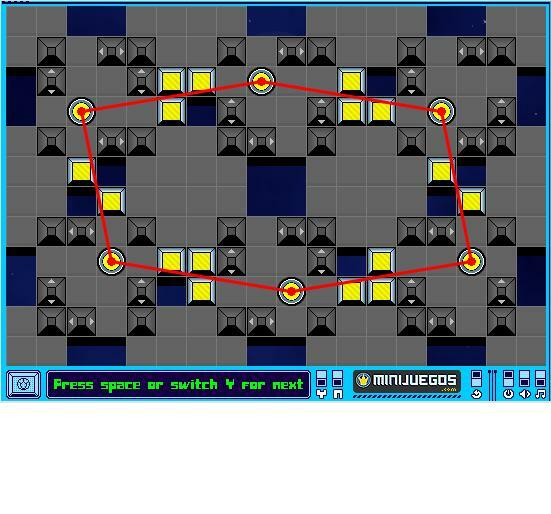 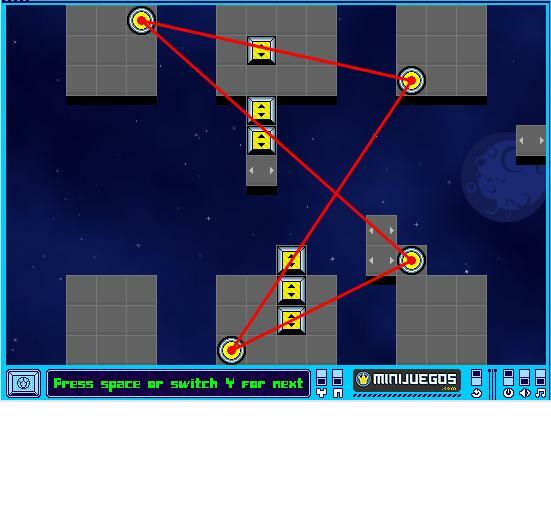 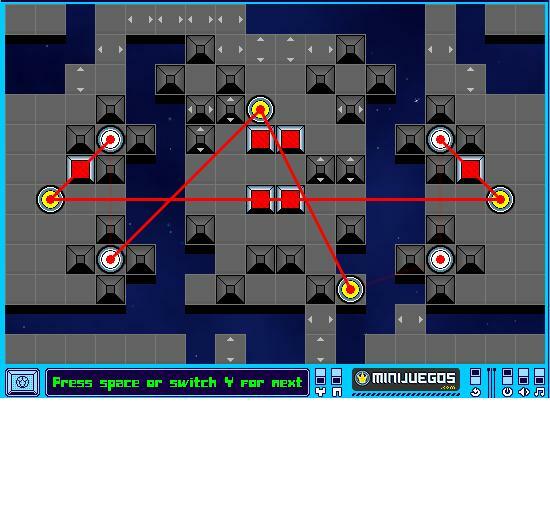 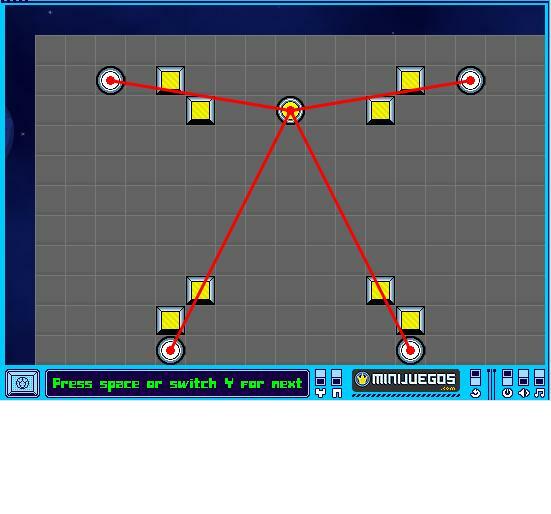 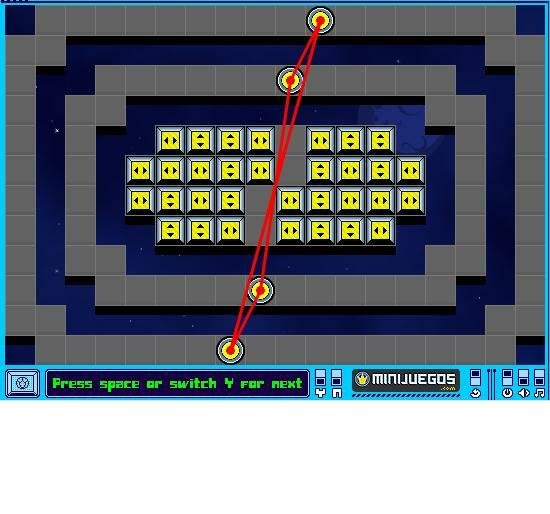 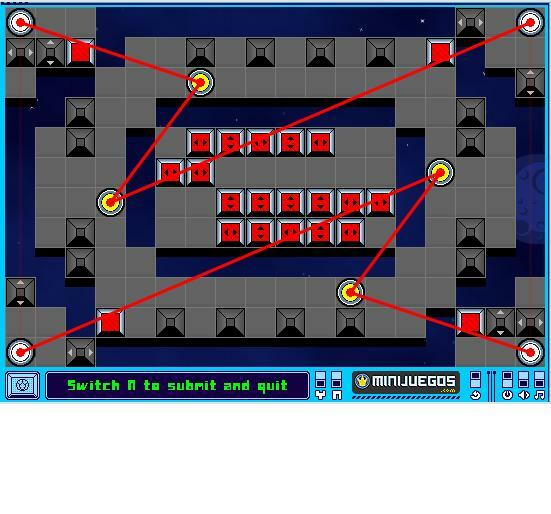 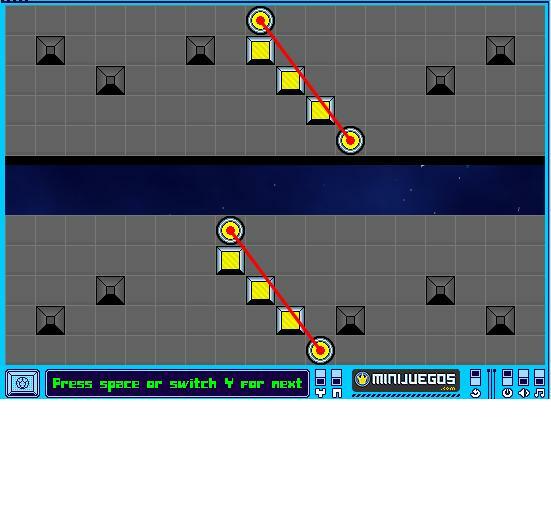 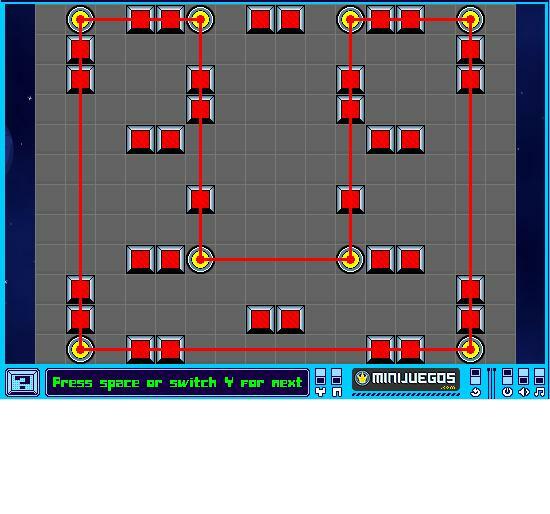 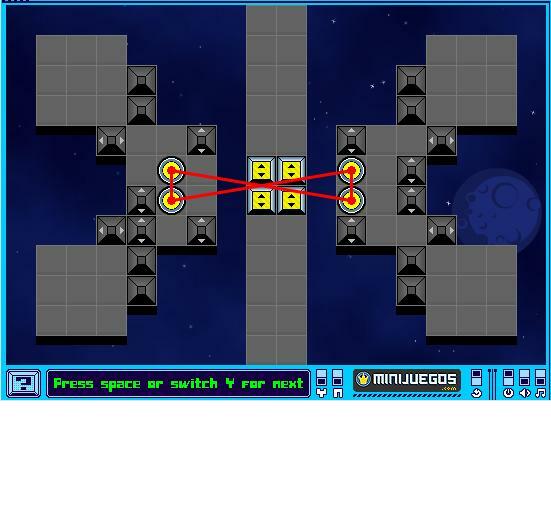 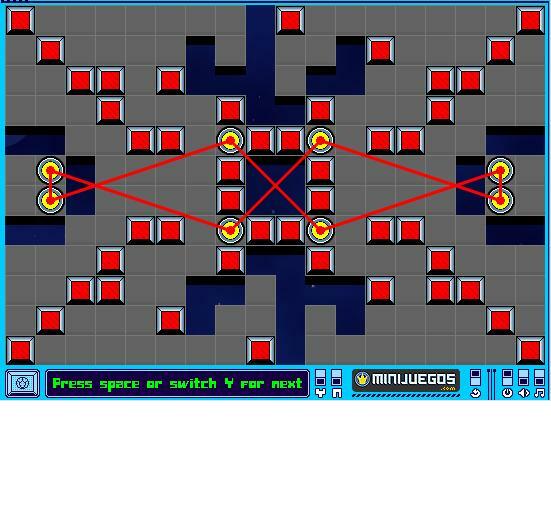 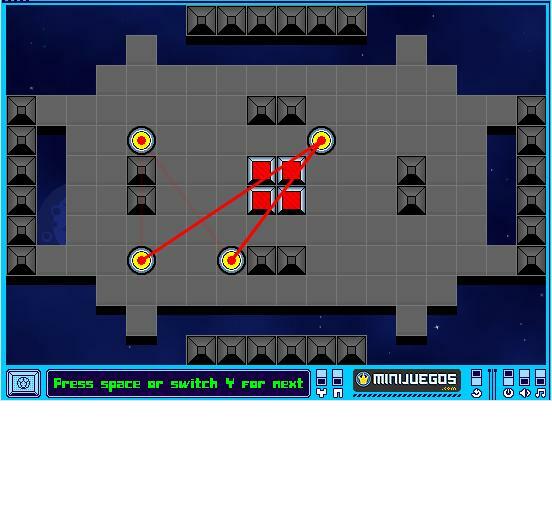 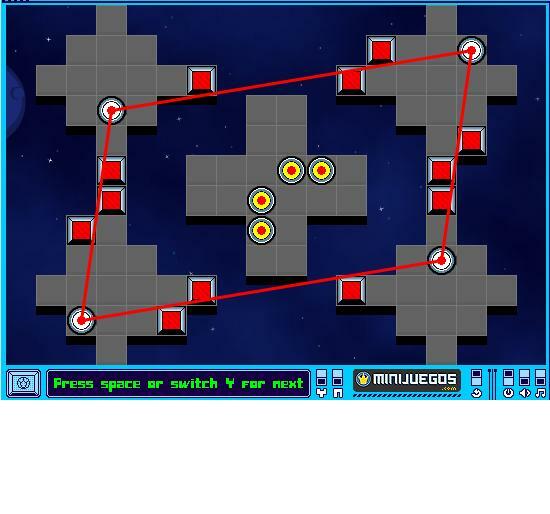 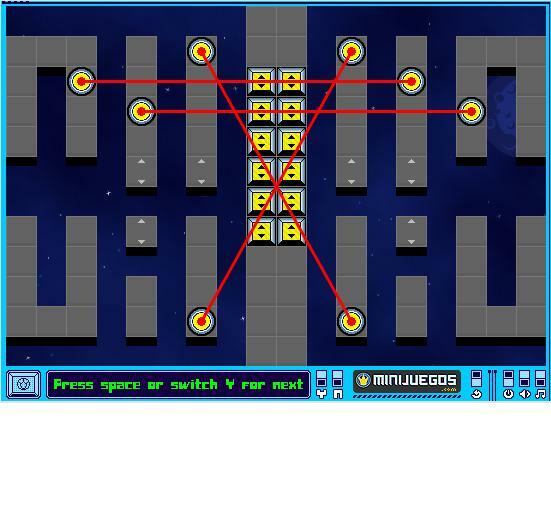 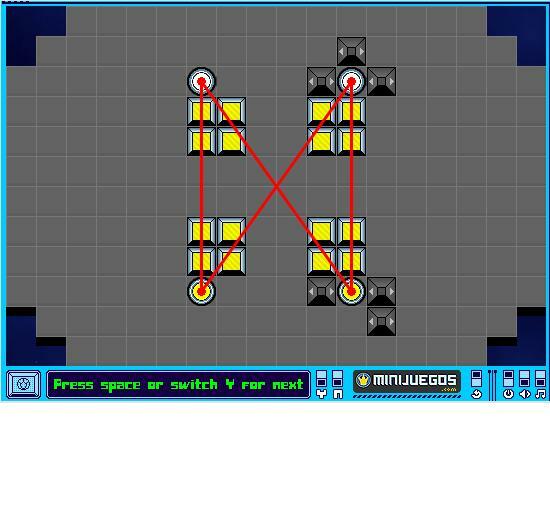 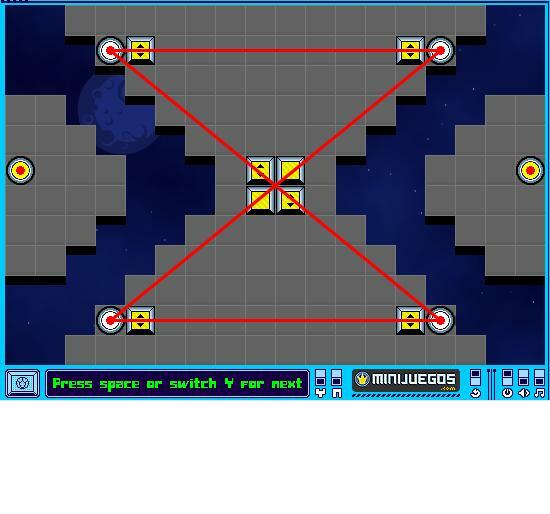 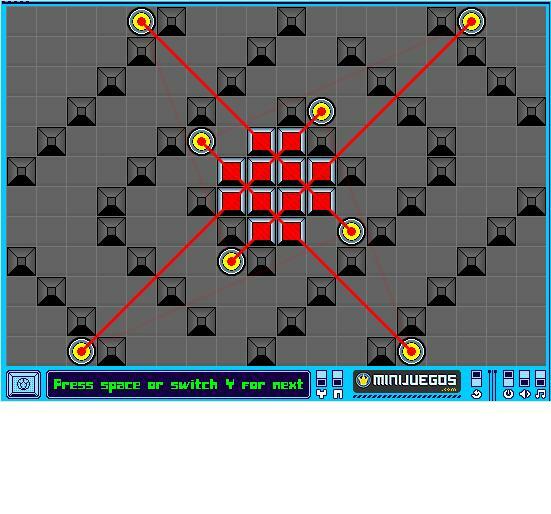 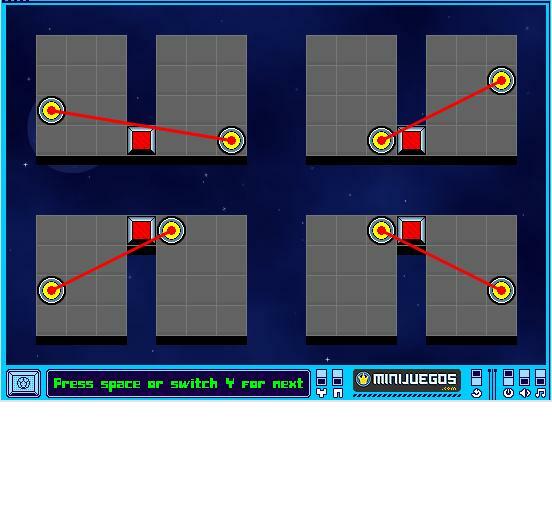 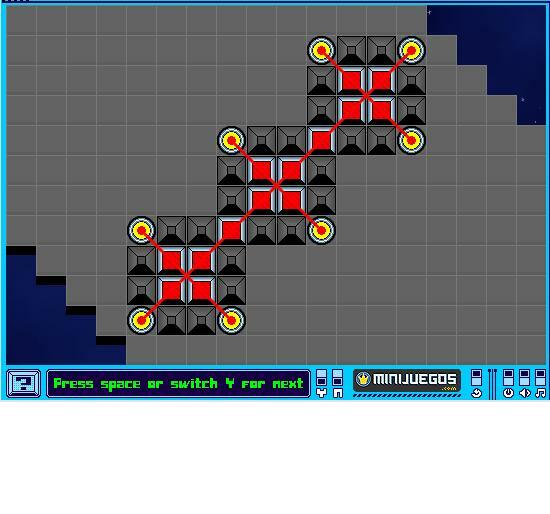 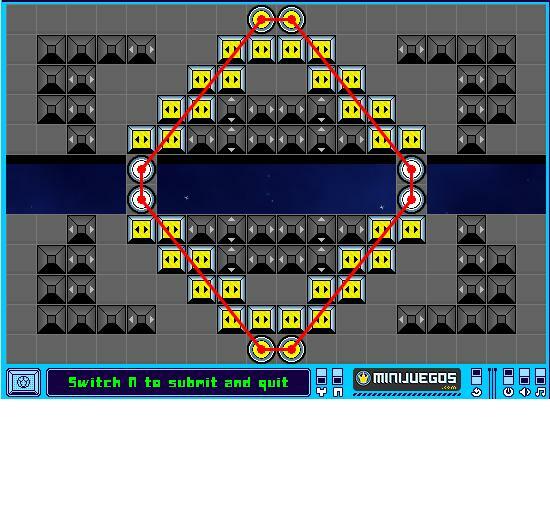 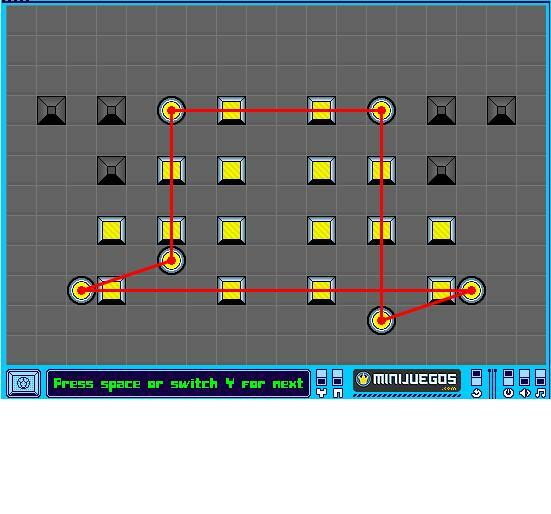 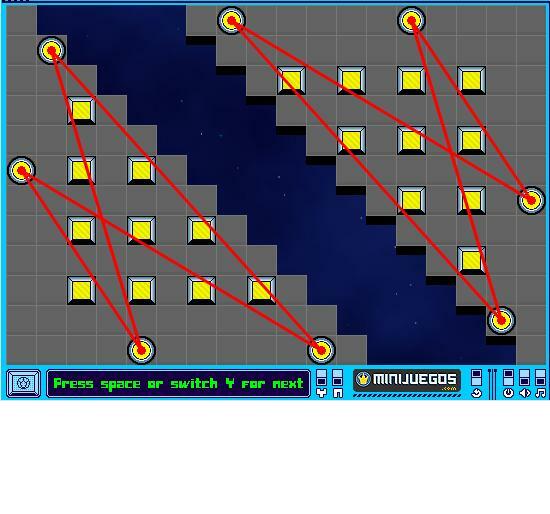 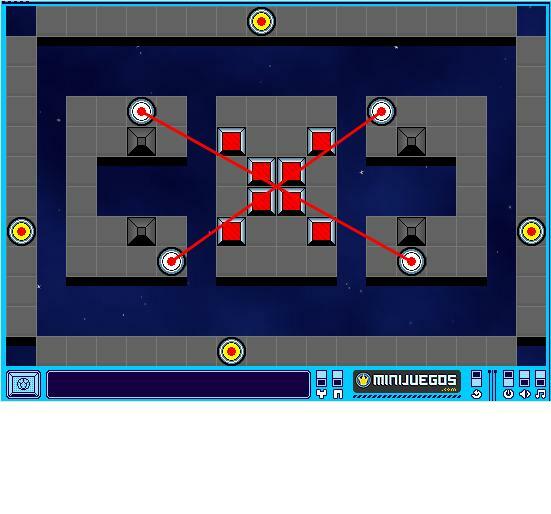 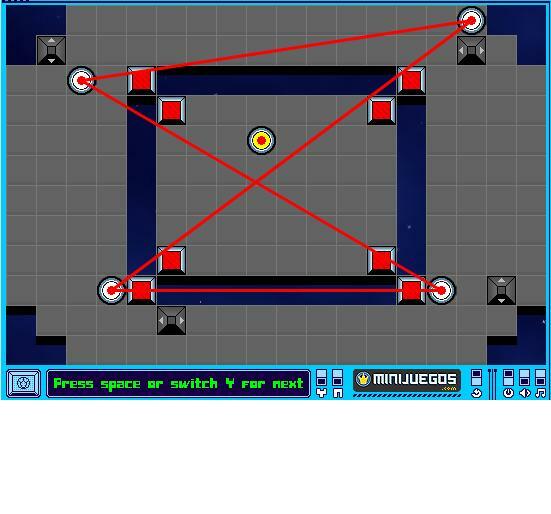 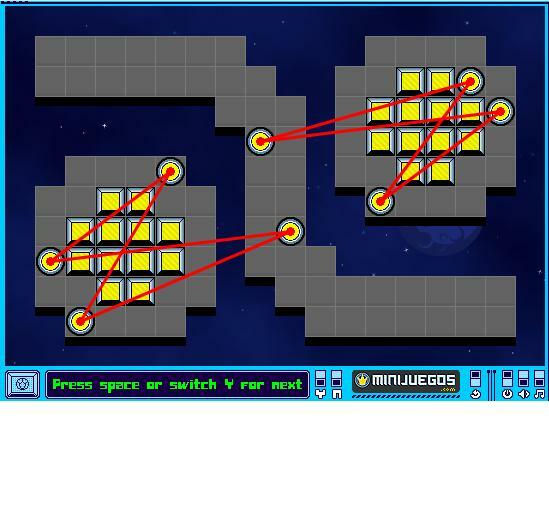 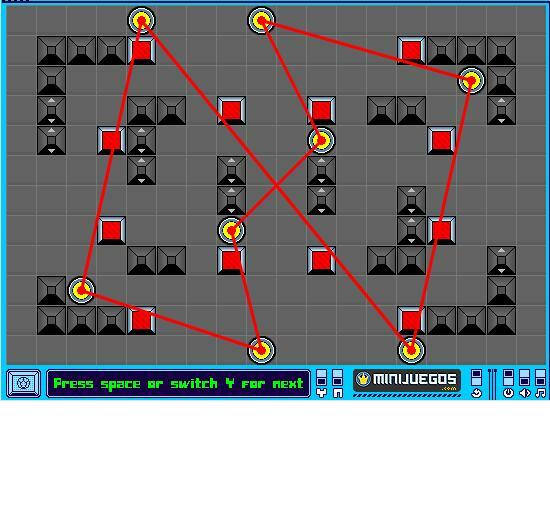 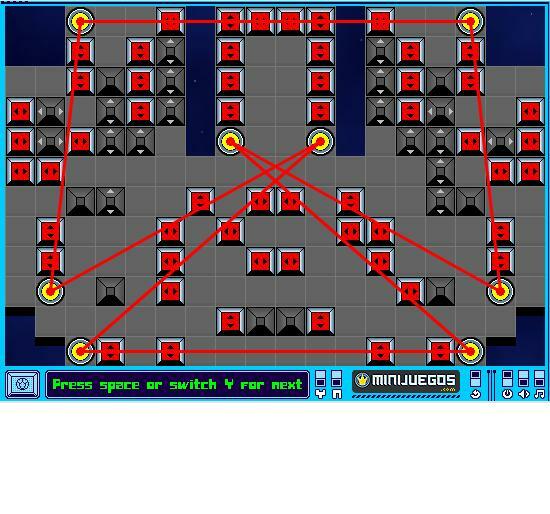 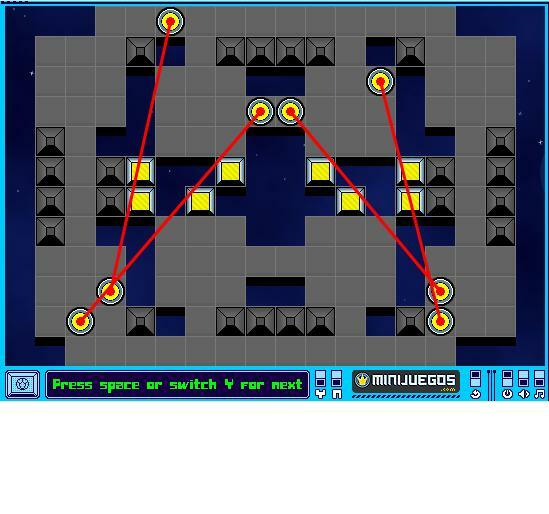 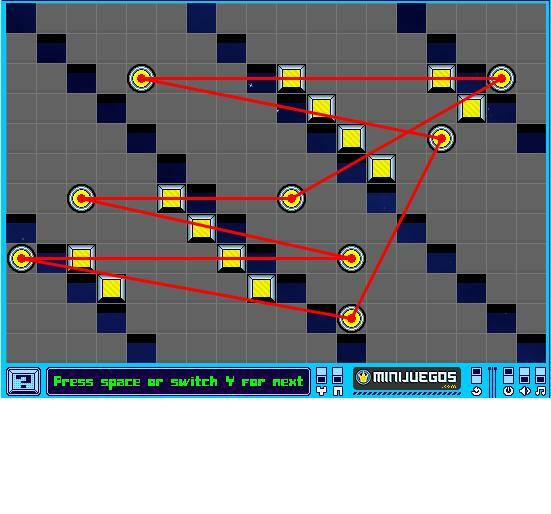 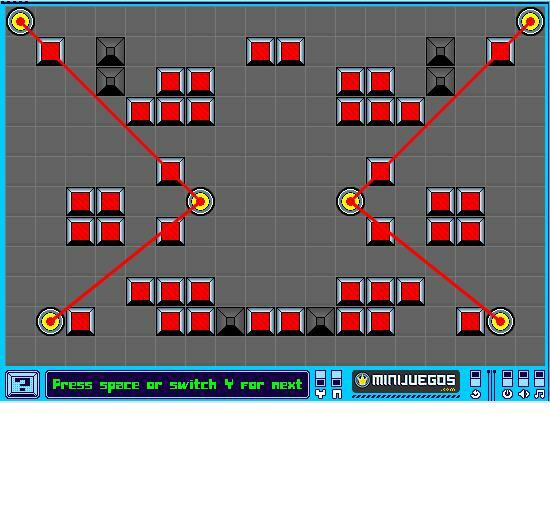 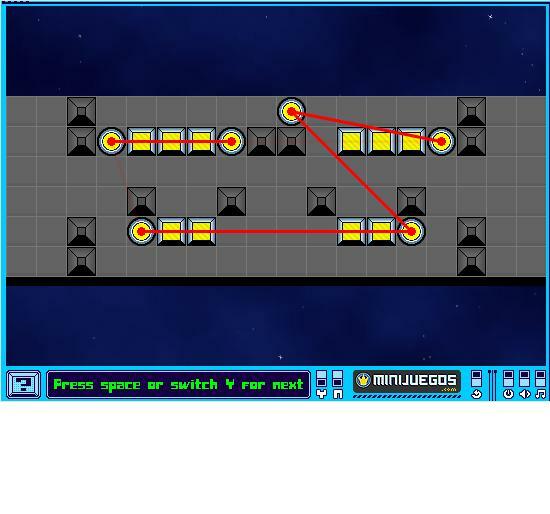 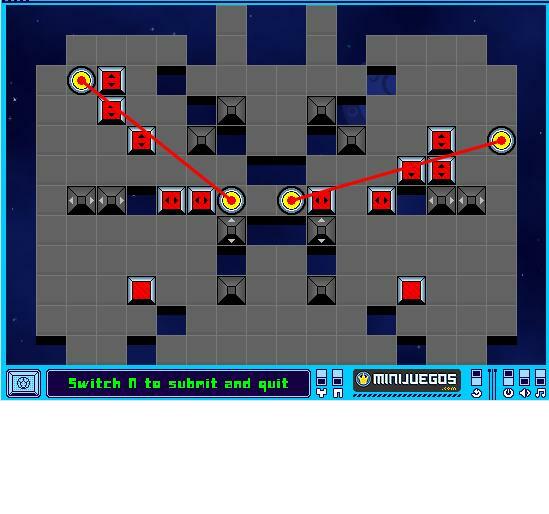 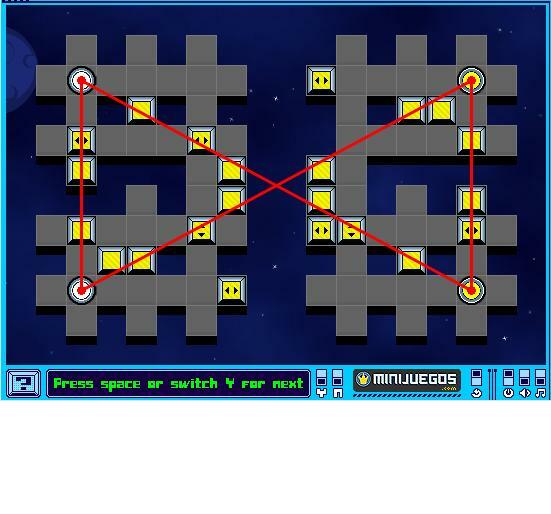 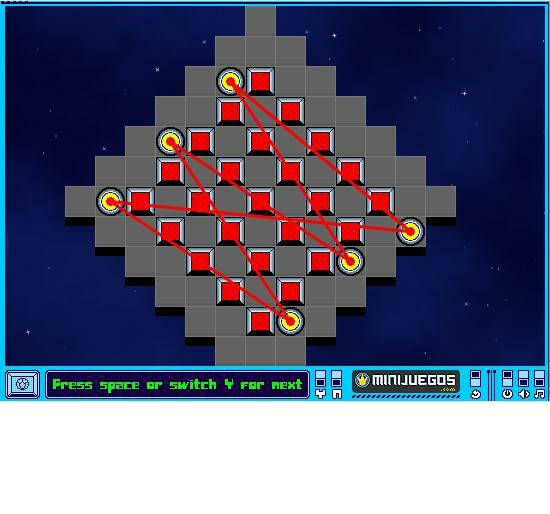 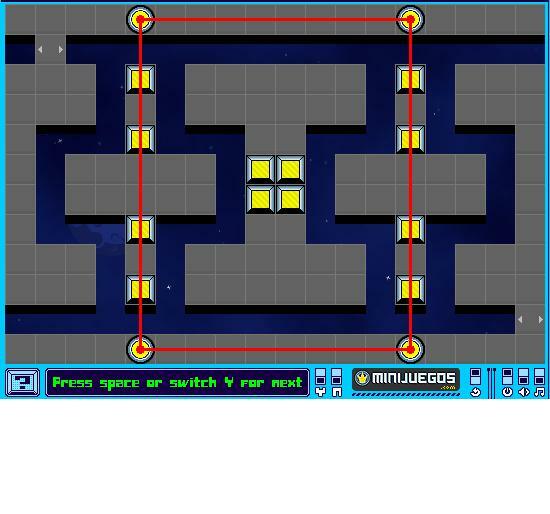 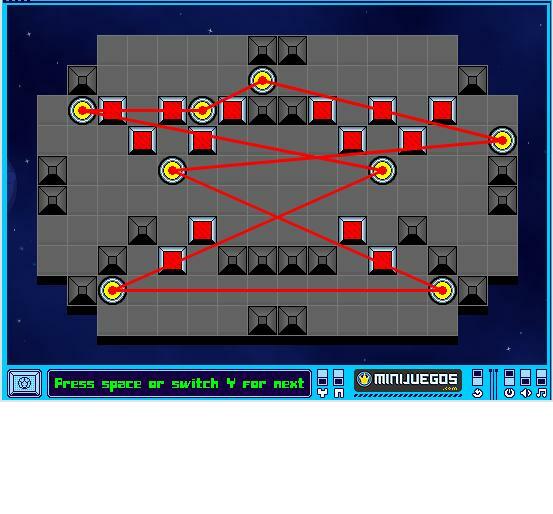 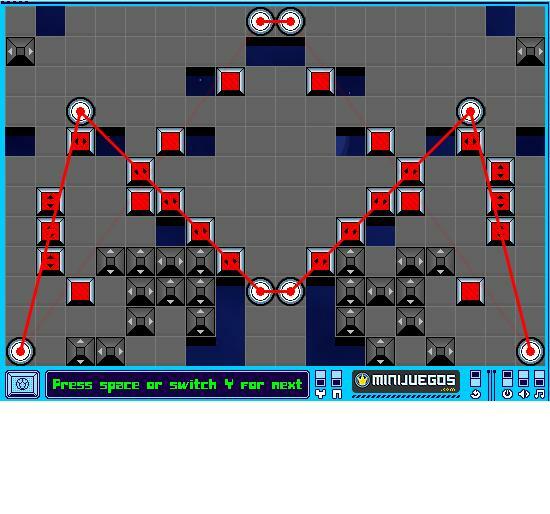 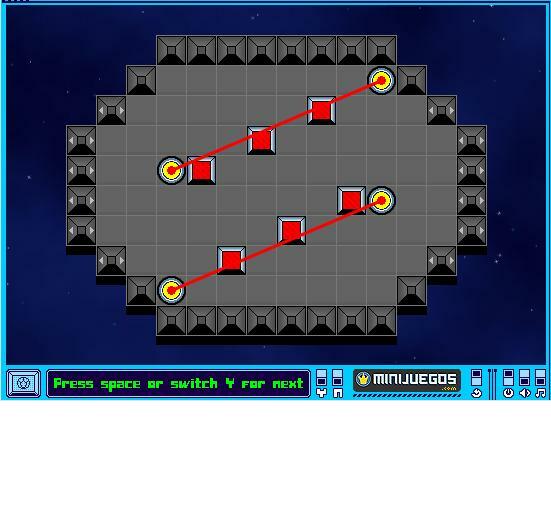 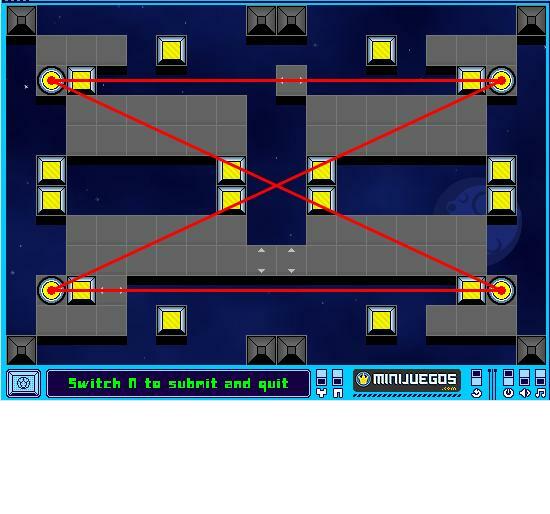 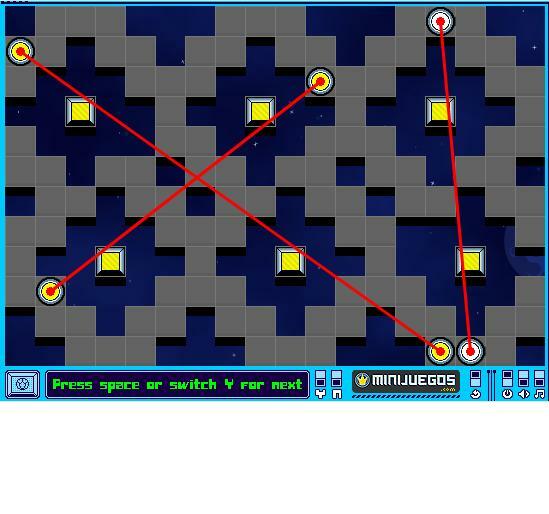 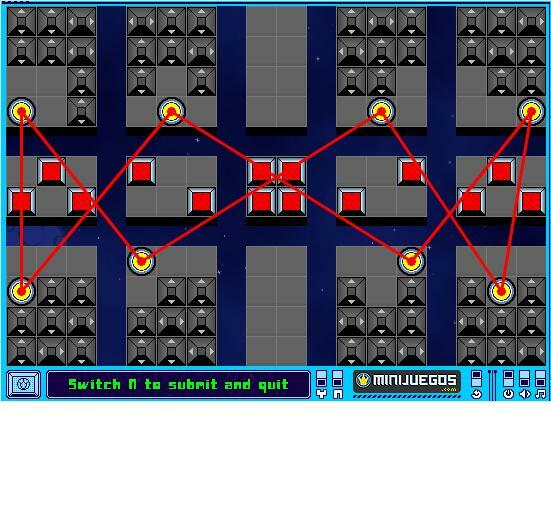 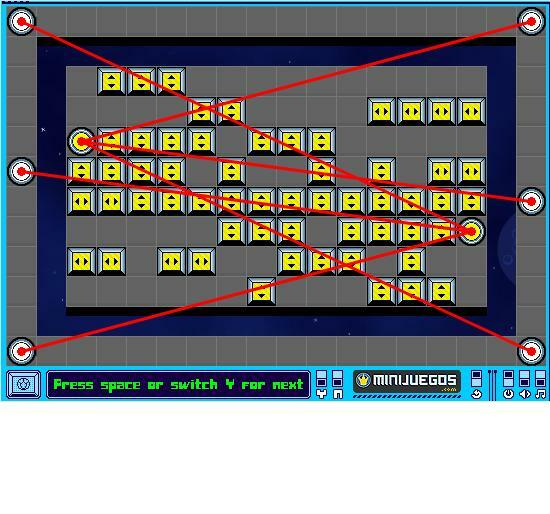 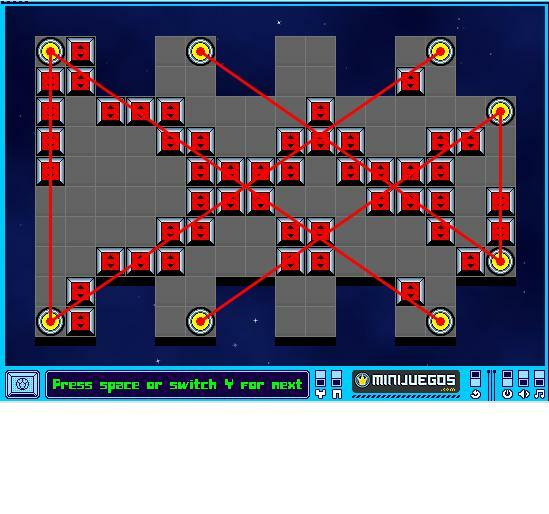 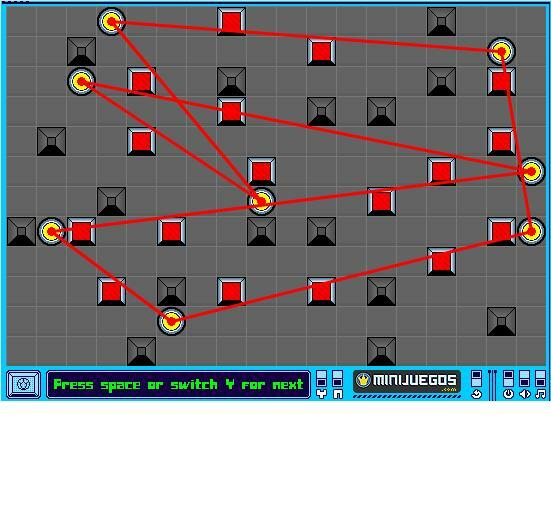 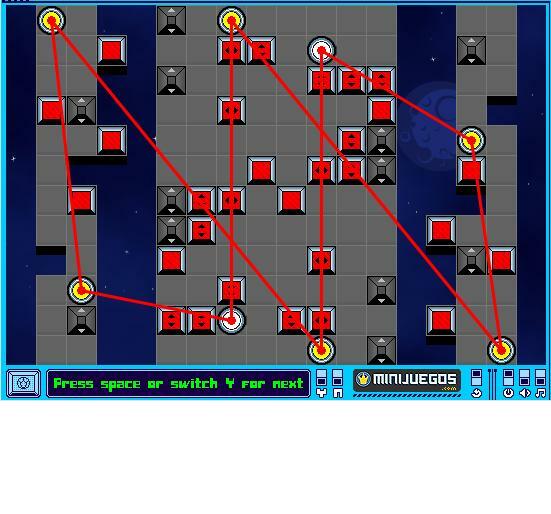 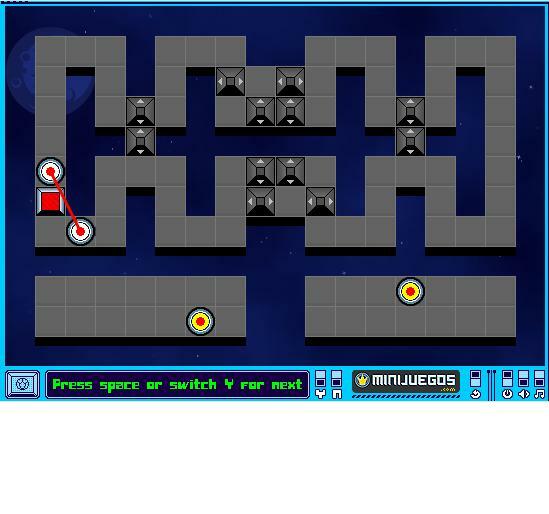 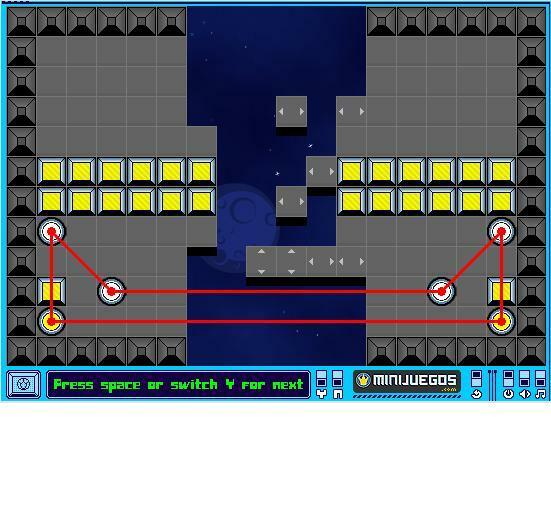 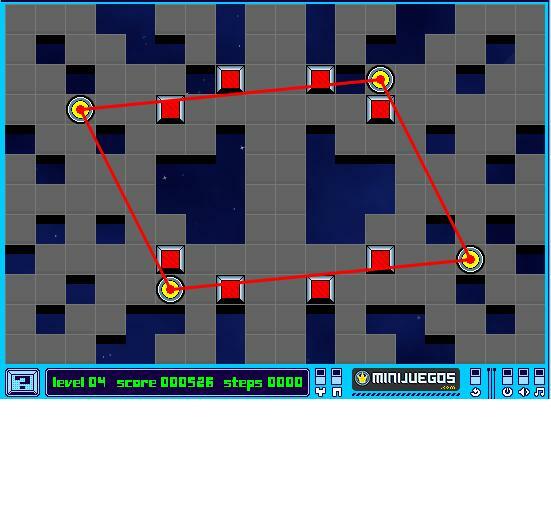 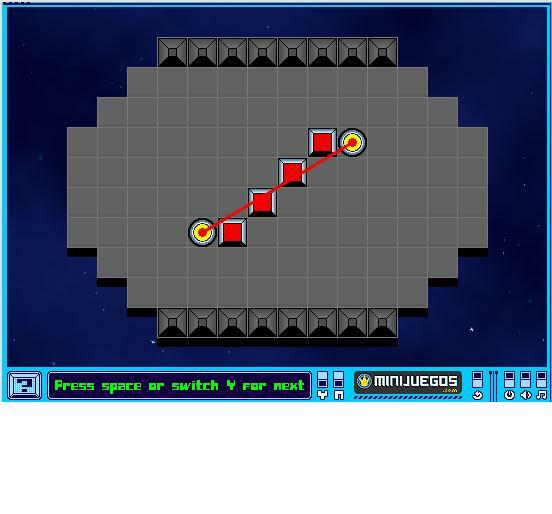 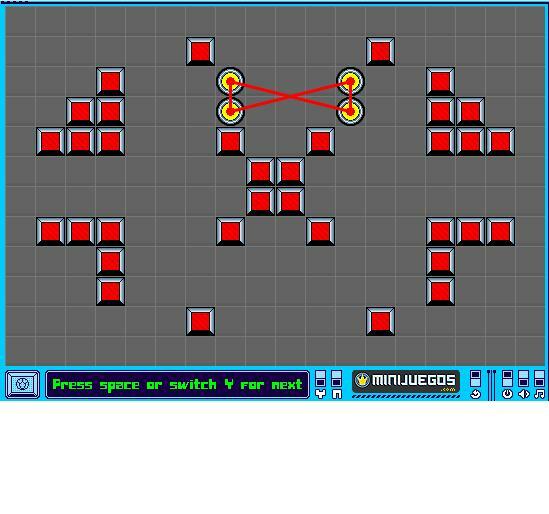 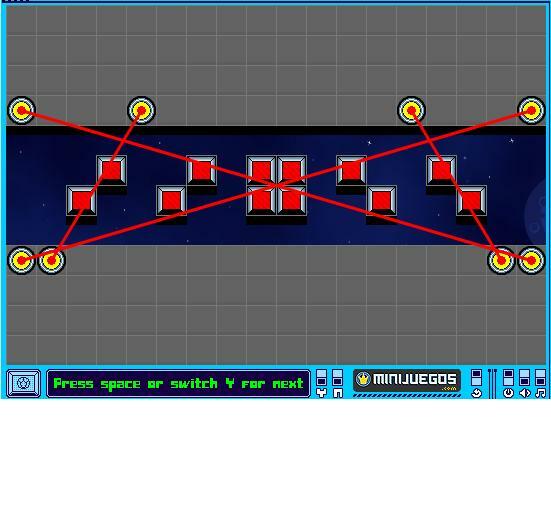 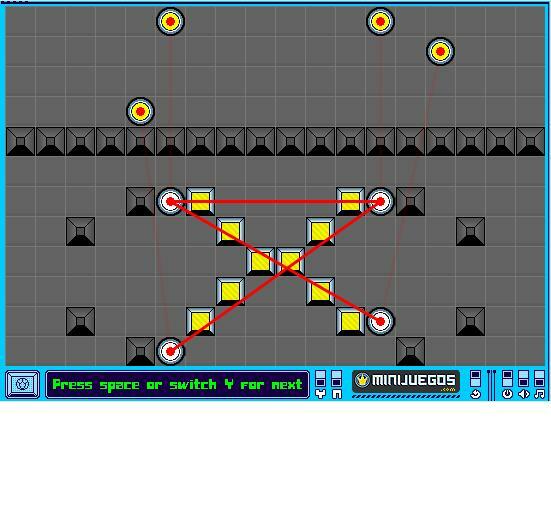 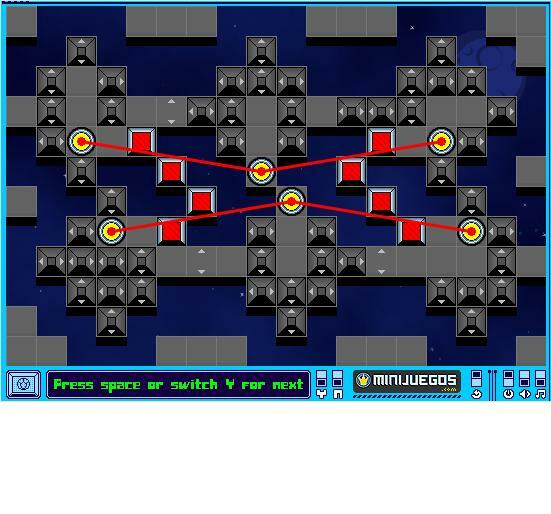 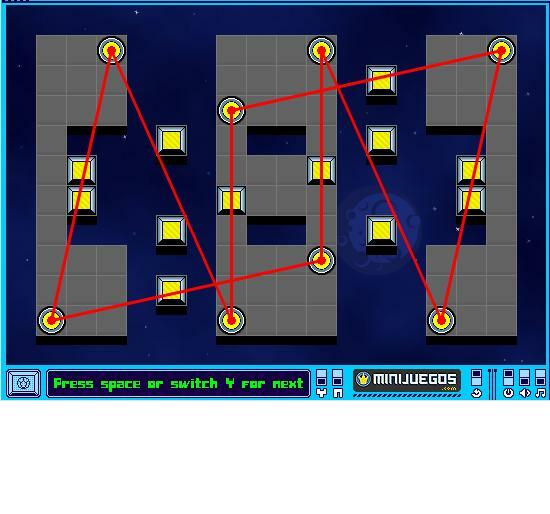 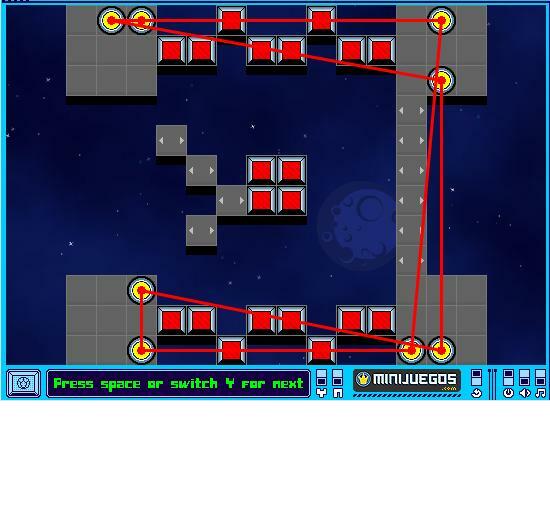 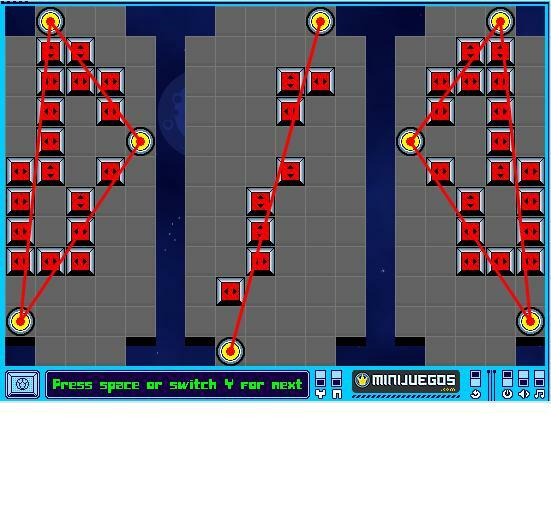 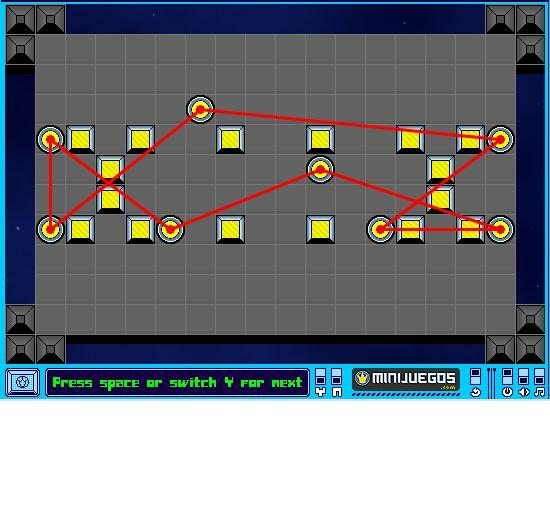 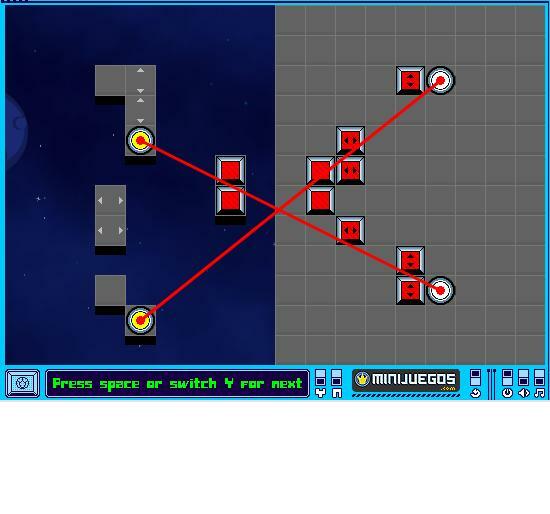 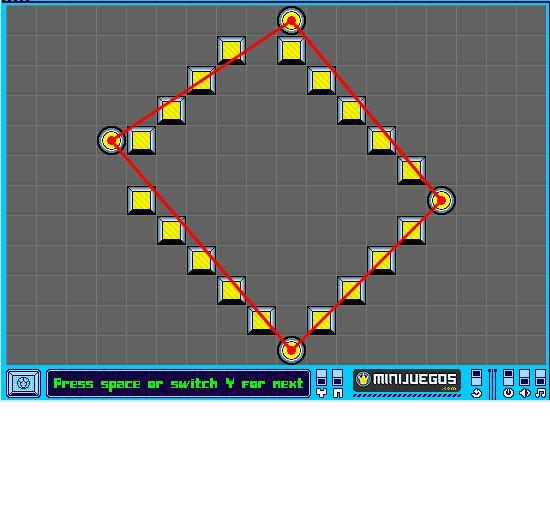 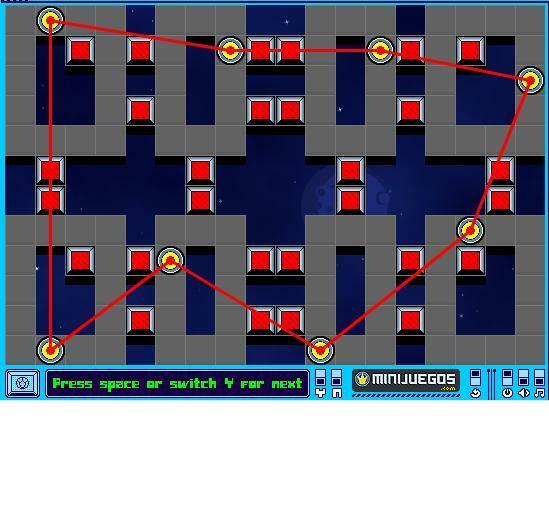 One level, you might be moving the laserspots, the next might have you moving the lasercells and the walls, the following level might have you moving laserspots that control the movement of other laserspots. 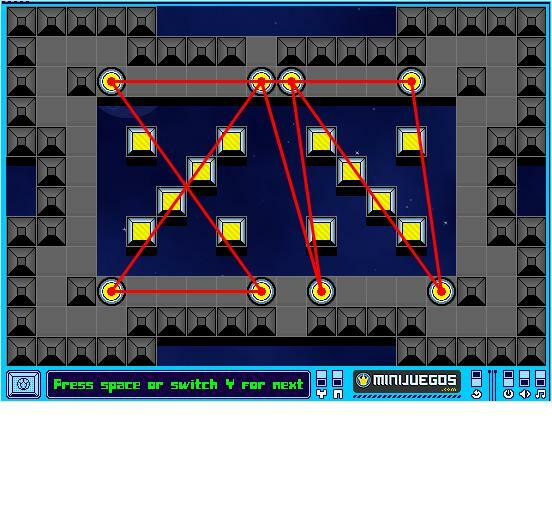 All the while, you've got to pay attention to which lasercells are already lit and don't need a laserbeam passing through them. 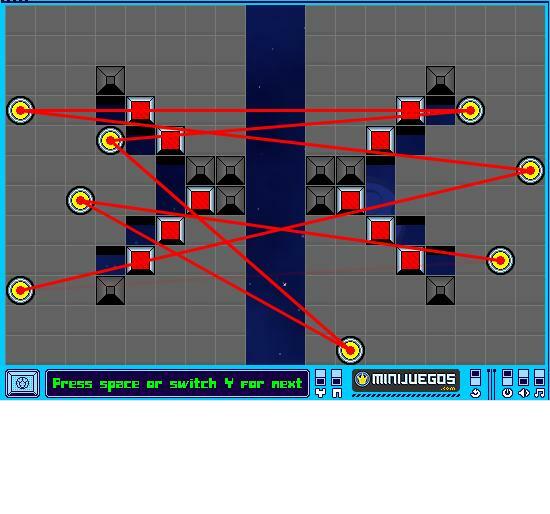 This game's interface is nicely set up, with switches and sliders that make you feel like you're at the control panel of some higher establishment for intergalactic laser manipulation (hereafter referred to as SHE-FILM). 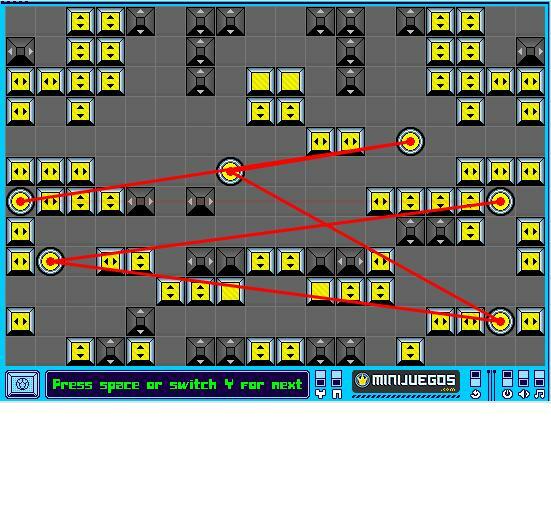 As a final tip, keep in mind that you have the ability to move objects across the board into a lot of configurations, but even though the level might be symmetric in nature, your solution does not need to be. 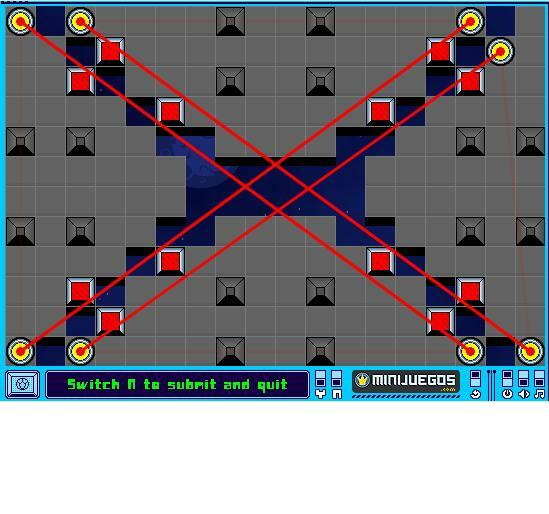 One of the hardest habits to break your mind free from is the urge to make the left side look the same as the right, or have the whole thing be diametrically symmetrical (looks the same when turned 180 degrees, like most crossword puzzles). 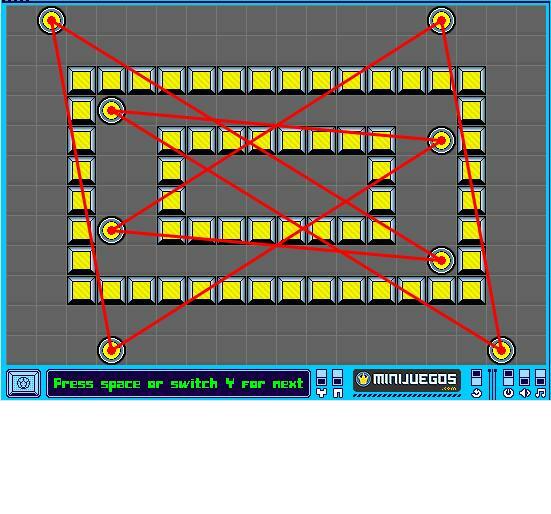 Often times, the easiest solutions look like a box of red toothpicks dropped on the floor. 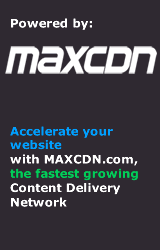 If you can let go of any perfectionist tendancies you might have, you'll learn to appreciate a line for the fact that it's a line, no matter how slanted.